The Moroccan Children’s Trust is a fantastic British charity that works to uphold and to protect the rights of Morocco’s children. 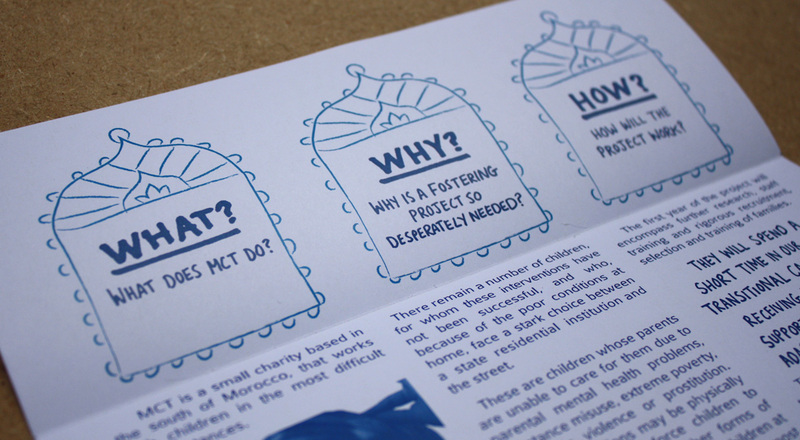 It needed a leaflet designed to present information on the benefit of foster care for families in Morocco. The leaflet was to be distributed to crucial potential investors. 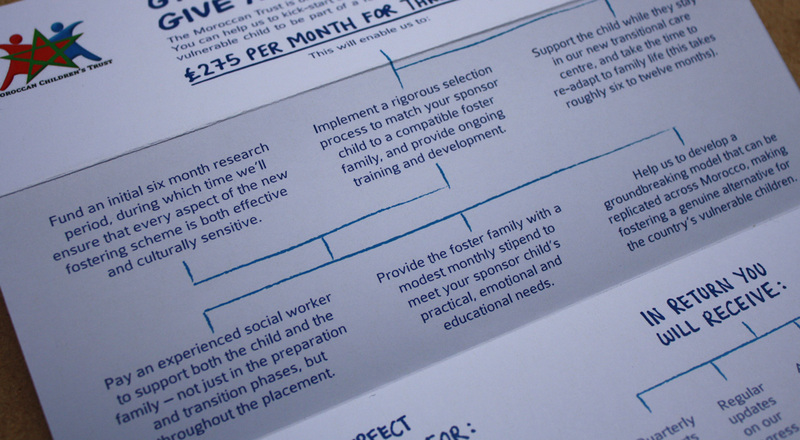 We designed this double-sided A4 leaflet which uses a four-way folding system to divide up the information. 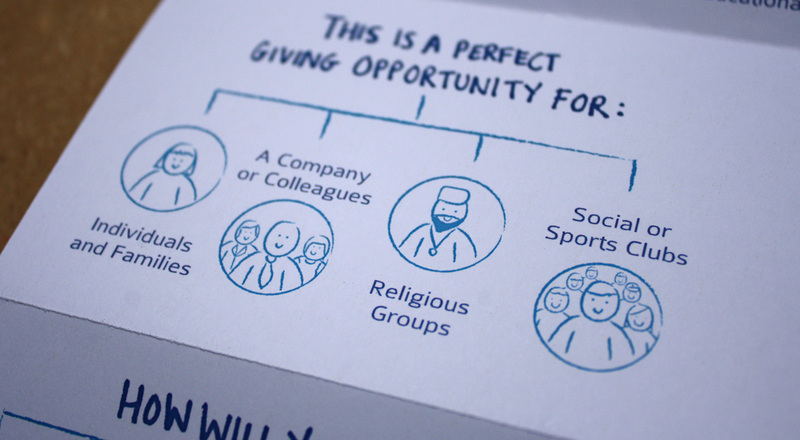 One side features the familiar branches of a family tree to convey important facts and figures. 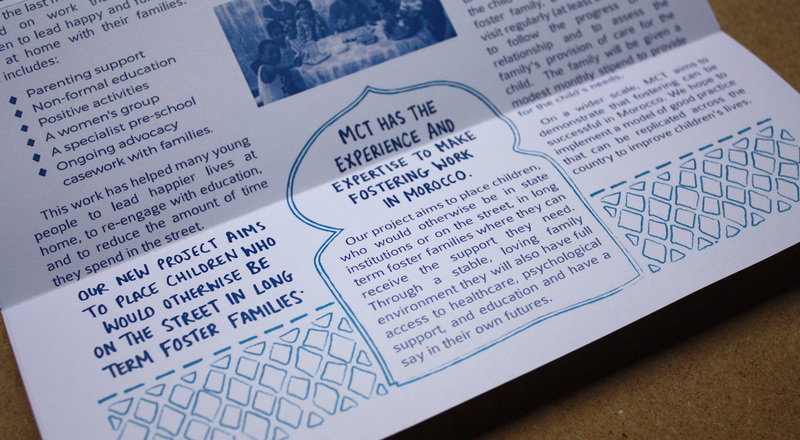 The other side uses design elements from traditional Moroccan homes to structure the information about foster care.